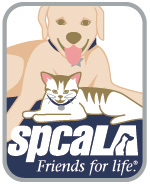 spcaLA is pleased to offer Pet Care Patch Workshops for all children ages 6-12! Earning this patch teaches young animal-lovers more about animals, including responsible ways to care for pets and ways to help animals in their communities. 6-9 year olds are welcome to attend the Introductory Pet Care Patch Workshop while 9-12 year olds are welcome to attend the Advanced Pet Care Patch Workshop. If your child/group does not fit the age requirement for our Pet Care Patch Workshops, please contact humaneeducation@spcaLA.com to find out about other opportunities at spcaLA. Click below for more info on each workshop and to register.